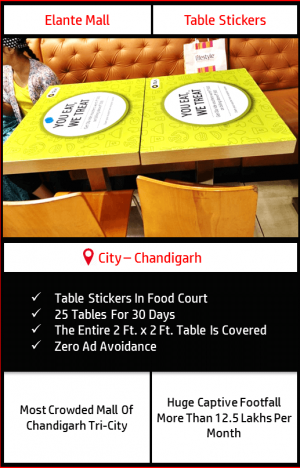 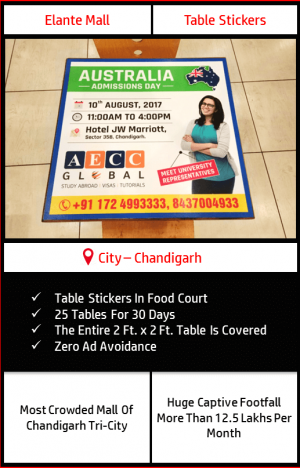 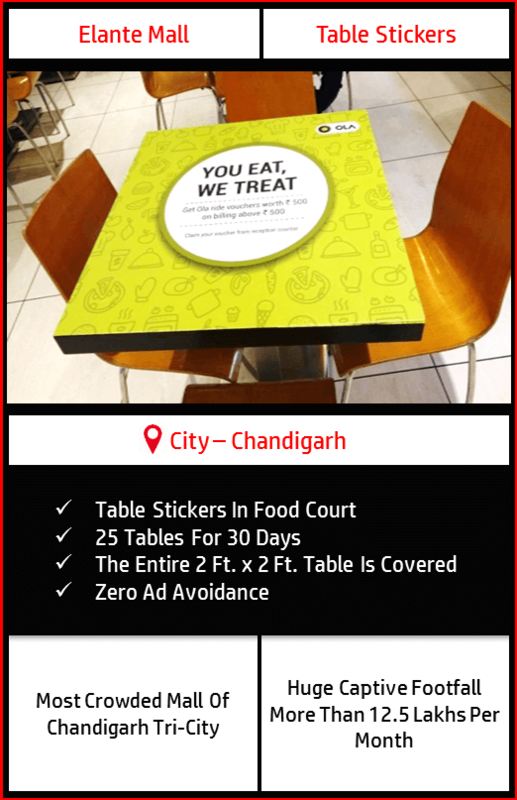 Your Brand would be displayed /installed on 25 tables (As Table Tops) located at Food Court, Elante Mall, Chandigarh for a duration of 30 days. The material of the table stickers has to be changed in 3 months. In case of damage to the table stickers within 3 months, the client would be intimated from our side. The new material costing, in any case, has to be borne by the client.